"A Family Building Homes For Families." That's the motto of Paul, Bob and Danny Joyal, owners of Joyal Homes. For three generations, Joyal Homes has been building superior, award-winning homes for families of all lifestyles. Joyals' reputation of excellence and their dedication to the homeowner have earned them repeat business and referrals from their clients. It's the total commitment to customer satisfaction and quality product that sets Joyal Homes above the competition. Joyal Homes list of achievements is unmatched among custom homebuilders in Brevard County. They have won numerous major awards as well as accolades from their building community peers. Joyal Homes is the only Brevard County builder to be named "Builder of the Year" an unprecedented three times and State of Florida “Builder of the Year”. According to Florida Homebuilder Magazine, "If every builder in Florida had the integrity, work ethic, painstaking attention to detail, and consumer commitment of the Joyal's, oh how much stronger and better our industry would be." LifeStyle Homes is a family owned Central Florida home builder celebrating 30 years in business. We specialize in energy-efficient home building, and have proudly built many solar-powered zero-energy homes for Central Florida residents. Just three simple words – Dream, Design, Build – lead to new homes in Brevard and Volusia County, FL. Stanley Homes, Inc., a third generation hometown builder, is highly regarded as a custom home builder in the Brevard and Volusia County FL area on Florida’s East Coast. Stanley Homes offers you the ultimate flexibility and convenience in building your new home. Give us a call today, we'd love the opportunity to make your dream home a reality! CEMCO Construction Company offers complete design and construction services specializing in custom homes in the Vero Beach and Sebastian areas since 1987. CEMCO Construction Company is owned and operated by Tahir “Bash” Qizilbash and his son Ali A. Qizilbash. Together, Bash and Ali have over 50 years of combined experience in the construction and engineering industry. Both Bash and Ali are Florida state certified general contractors (CGC #040510 and CGC #1524457) and state licensed professional engineers (PE #36715 and #60221). Thus, CEMCO Construction Company has gained a reputation for delivering a high level of construction quality on each and every project. Our sales office is located in the 512 Commerce Center at 720-E Commerce Center Drive. Please contact us today to schedule an appointment to visit our office so that we can show you first-hand how CEMCO Construction Company can make your dream become reality. NuVision Builders is a custom home builder on the east coast of florida, specializing in residential custom designs with our own in-house design personnel and expert construction management and supervision. We have a mission that has guided our company from the very first day. We consistently commit our energy and resources to providing families with homes of outstanding design and enduring value. At Mercedes Premier Homes we build affordable luxury homes with an unwavering commitment to quality. Skill, experience, passion, and commitment are all part of the craftsmanship that goes into each Mercedes Premier Home. Our family of dedicated employees, trade partners, and contractors work diligently to build homes that will be enjoyed for years to come. 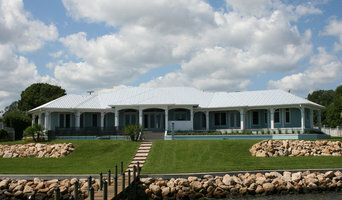 Militano Construction is Brevard County's Leading Custom Home Builder for 28 years. Kyle Militano is a licensed General Contractor who takes pride in being a "hands-on" builder who personally inspects each job site daily. 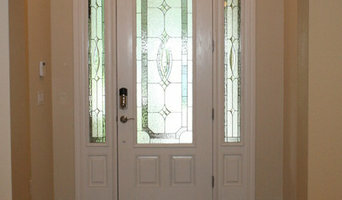 Give Kyle the opportunity to meet with you and you will see why he has hundreds of satisfied customers. Premier custom home builder in Brevard County, Florida. Trade Wind Builders is now in its 20th year of operations and has yet to build the same home or commercial project twice. Every home we build is different. For builders who also act as developers, the job starts well before the first nail is driven. They perform Indian Harbour Beach, FL market research to determine whether the prospective homesites make sense in the Indian Harbour Beach, FL market, as well as survey the land on which the house will be built to make sure it is suitable for construction. They also obtain the necessary permits. A good builder has skills that go far beyond construction — he or she must supervise subcontractors and artisans; keep tabs on Indian Harbour Beach, FL zoning regulations, building codes and other legalities; inspect work for problems along the way; and perform dozens of other roles that are essential in building a quality house. Here are some related professionals and vendors to complement the work of home builders & construction companies: Interior Designers & Decorators, Landscape Architects & Landscape Designers, Architects & Building Designers, Kitchen & Bath Designers, Specialty Contractors. Find custom home builders and luxury construction companies on Houzz. 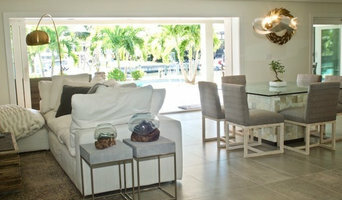 Narrow your search in the Professionals section of the website to Indian Harbour Beach, FL new home builders. You can also look through Indian Harbour Beach, FL photos to find a house you like, then contact the builder who worked on it.